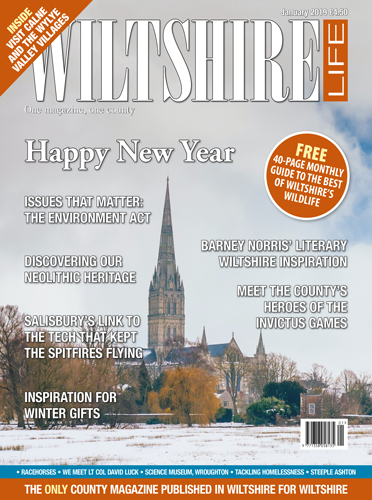 With Wiltshire Life’s August issue, you can take flight to another realm away from the irritations of daily life. 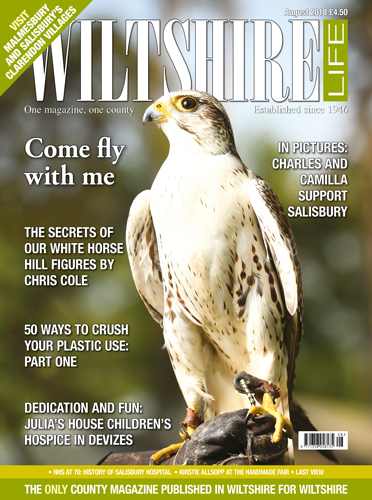 ‘Come fly with me’, says the saker falcon on our cover and you can do, following in the footsteps of the editor who met golden eagles, a kestrel, Harris hawk and barn owl. 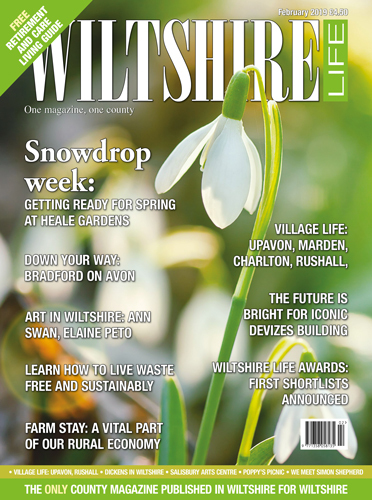 There’s plenty of sunshine in this issue, too, from the woman who “sells sunshine on the A36” to the stunning images in our article about Salisbury’s Clarendon Circle of villages. 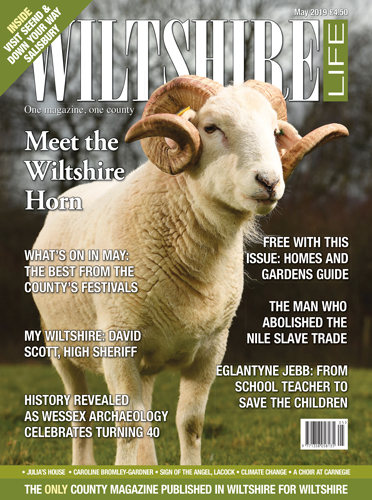 Down Your Way visits Malmesbury, while Chris Cole looks at how Wiltshire got its white horse hill figures. 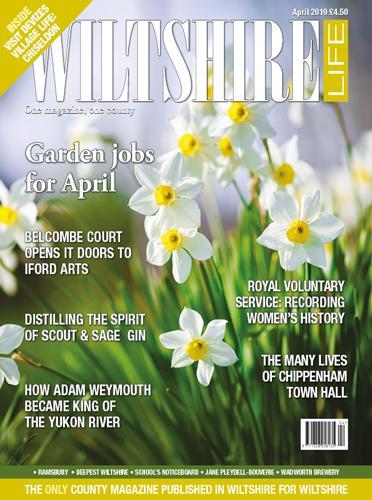 We meet keen crafter and TV presenter Kirstie Allsopp; the organiser of Chippenham Folk Festival, Bob Berry; and botanist and author of 20 books, Peter Marren. 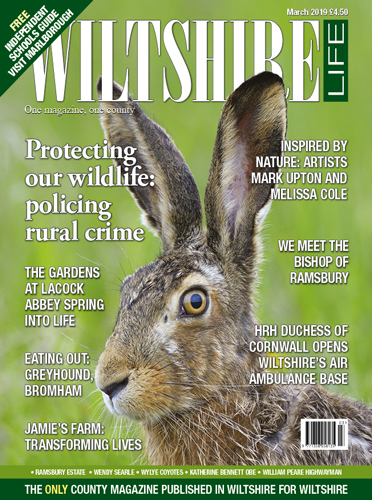 Finally, we have a picture extravaganza for you, with our coverage of the Prince of Wales and Duchess of Cornwall’s visit to Salisbury, plus a glorious centre page spotter’s guide to moths. There’s much more to read that we don’t have space to tell you about here. It was my pleasure this month to visit Forest Falconry in Landford, where I found the experience of flying a Harris hawk opened the door to another world. Other creatures that amaze me are the large and diverse macro moths. Wiltshire Wildlife Trust’s impressive spotter’s guide to these vibrant moths also tells us how to mix up a magic moth-attracting potion. I will be trying this with my six-year-old nephew. Finally, I’m pleased to be able to introduce a new series to show how small actions to cut back on plastic can add up to one big difference. Enjoy!